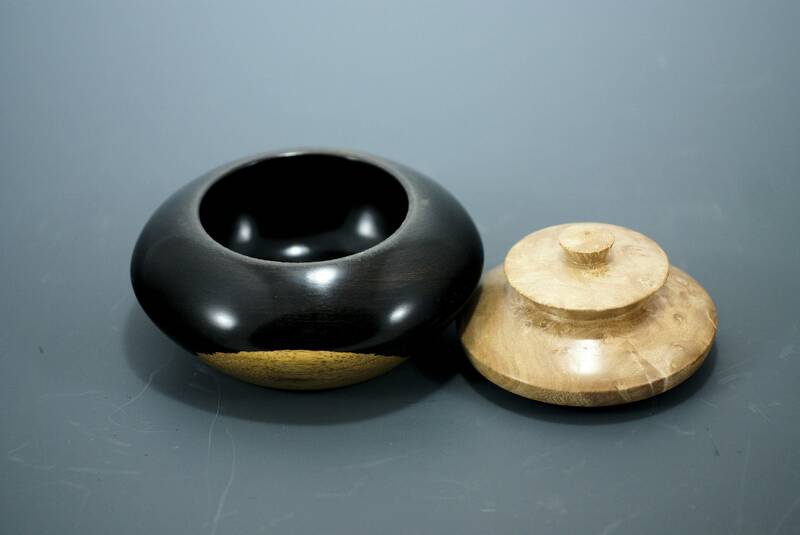 I made this from a special piece of African Blackwood. This wood is very dense and very hard. 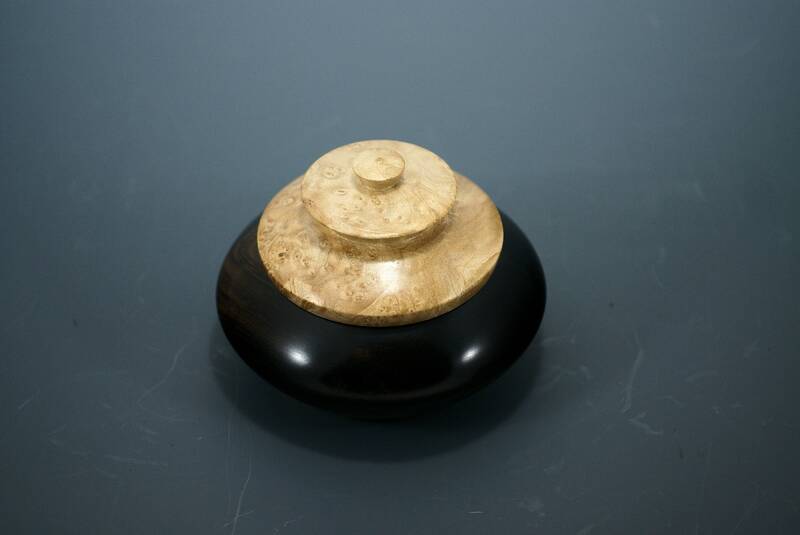 The Maple Burl lid is wood from the Willamette Valley in Oregon. While not one of those big jewelry boxes, it is designed to hold those special pieces of jewelry. As a gift this sends a special meaning that the person receiving it is Loved very much. While not your normal gift it is intewnded for the extrodinary people. This is for sure a One of a Kind gift that will become an Heirloom filled with Loving Memories. 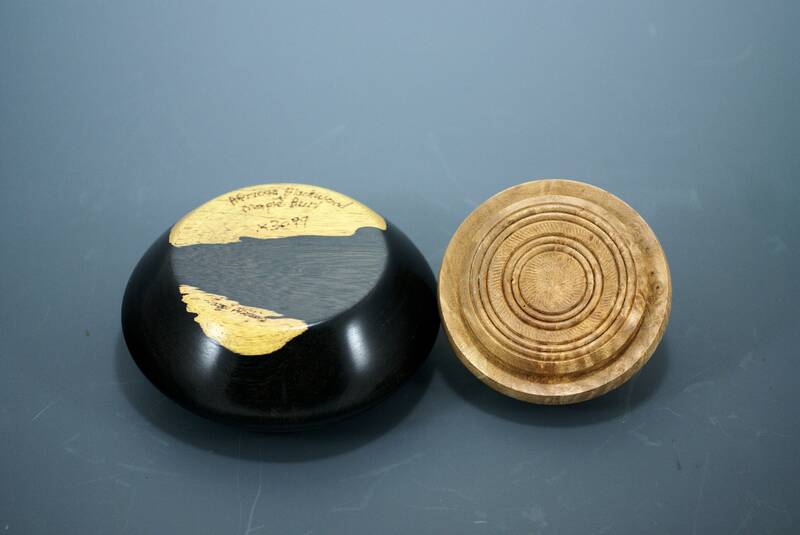 The box is 5" in diameter and 3 1/2" tall and weighs 10 oz.